High efficiency machining by the #50 taper spindle with top speed of 6000 rpm, 18.5 kW (24.8 HP), and maximum torque of 759 N・m (560 ft・lbs). Enhanced ease of operation is provided thanks to the column-feed machine design with wide machining area. 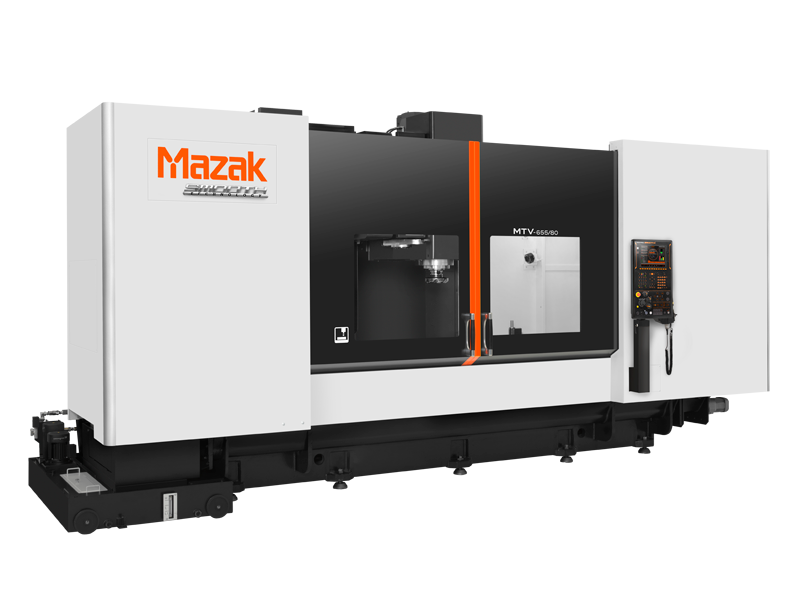 MAZATROL SmoothC, the advanced CNC designed for ease of operation - standard equipment. The MAZATROL SmoothG CNC is optionally available. * Standard equipment CNC system varies by market.